Why is it so hard to reach and maintain the flow of authentic sexual connection with our intimate partner over time? How is it that our signals get distorted and misunderstood? What is behind all that avoidance that one or both of us has fallen into? How can we enhance what has become too predictable a routine? This workshop is designed for couples who have either done the Hold Me Tight® Program or worked with a therapist using the Emotionally Focused Therapy (EFT) model and have some familiarity with their cycle of relationship distress. 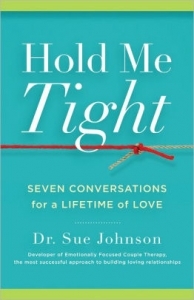 We will use variations of the Hold Me Tight® conversations to explore how the emotional obstacles to closeness get in the way of our sending clear signals about our fears and longings for physical and sexual intimacy. We will use a variety of modalities to gain understanding of what we and our partners truly long for. In addition, we will review state of the art research about the range of sexual experience in committed relationships and what can be done to overcome barriers towards achieving greater sexual satisfaction. Open to couples of all backgrounds and persuasions. All conversations will take place between partners with assistance from our highly qualified roving therapists as needed. In a weekend format, this couples workshop serves as a relationship retreat. Homework will be given on Saturday night, so it is optimal for couples to plan to spend time together without distractions. Taking place at the scenic Smith College Conference Center, participants will have access to walks around campus during the breaks. Lunch is available for purchase at the Smith College Student Center or in downtown Northampton.